Secure Data Destruction Falkirk – We can securely erase all the data on your hard drive or external storage device, to US Department of Defense standards and guarantee you 100% that it can not be recovered. 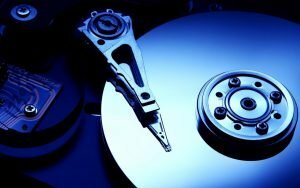 The process of overwriting the hard drive with 7 passes of random characters means that nobody, not even a forensic data recovery specialist, could ever get back any information from the drive. Data security and personal privacy are very important matters and when disposing of your computer you have should be concerned with your personal data falling into the wrong hands. For businesses you have a legal obligation with regards to the data that may have been stored on your computer’s regarding employees and customers. Just deleting the files from the system does not mean that they are gone. The process of securely destroying the data is a long and time consuming process, but we can guarantee it is 100% effective and is carried out to US Department of Defense Standards – DoD5220.22-M. Sometimes you may wish to sell the system and want it securely erased and restored to factory settings, we can do all of this for your and it a quick timescale. For customers in the local area we can collect or you can drop off to us at a pre arranged time. We offer this is a Nationwide service, you can either ship us your system or remove the hard drives yourself and ship them to us by registered mail. Along with secure data destruction we can offer solutions for file encryption, ensuring that going forward your data is protected and whether your system is stolen or hacked, your files are protected at all time.